Would you like to live in the city for a few weeks or even a whole year of your stay, but also have beautiful forests a short walk away from your home? Choose a rental apartment in Brno-Žabovřesky and make this wish a reality. Would you like to have a view of the forest, or do you prefer the livelier part of Brno, which is always full of energy? Take a look at the map of rentals in Brno-Žabovřesky and choose the one which you like best. Is a trip to Brno awaiting you? Are you currently deciding where to live? Do you have your eyes on a nice rental apartment in Žabovřesky, but still hesitating if you should reserve it for a couple of weeks or even for a whole 12 months? Regularly visit the Flatio website to stay in the know about newest offers of rental apartments and their virtual tours. Maybe you will find a rental that you like even more, and choose that one in the end. Afterwards you only need to reserve it, pay a 500 CZK reservation fee, and within 24 hours you will know if the landlord has accepted your reservation. A service fee based on the length of your stay. Be smart about it and choose accommodation for 14 days, half a year, or even 12 months without spending unnecessary money. The Flatio startup makes it possible for you to rent an apartment in Brno-Žabovřesky without a real estate agency and high commission fees. Why spend unnecessary money when there is another way? Our team will help you save money as well as find accomodation that will be up to your standards. Renting a flat in Brno-Žabovřesky without deposit is not just a fairy tale that can only happen in your dreams. On Flatio it is a reality, because no offer on the website requires that you pay a deposit, which can be as much as the cost of three months‘ rent. Would you like to make sure you will have quality accomodation? Top rated rentals in the second largest city of the Czech Republic can be found on Flatio. Thanks to previous tenants, you will know if all the facilities in your rental of choice are functional or if there is something missing. 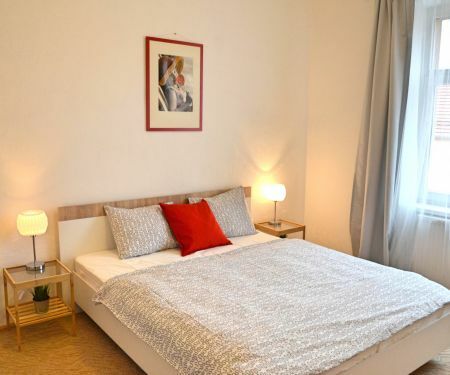 Choose the best apartments in Brno-Žabovřesky on Flatio and be sure that your chosen accommodation will be exactly as described on the website. Nothing will surprise you once you arrive, so you will only have to worry about unpacking.